Visit Today For Everything Cloth Dolls! Cloth Doll Connection's Mailing List! You will receive a "Confirm your subscription to the CLOTH DOLL CONNECTION" email which will include a link to verify your subscription at which time you will receive a Welcome email. Please check out the exclusive list of Cloth Doll Designers on the Cloth Doll Connection. 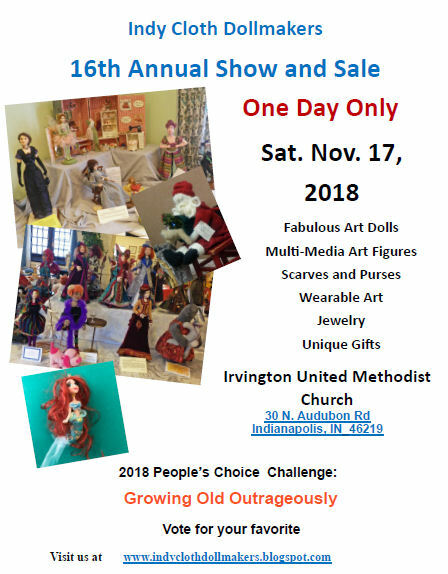 If you need some inspiration take a look at the DESIGNER LINKS, they are loaded with fun, whimsical, fantasy dolls to feast your eyes on. Check out all the other pages and take note of the new Events, Blogs, Links, Fabric & Supplies, Mags, Books & Videos, Discussion Groups, Free Patterns & Tips, Challenges, and the Doll Clubs. They have a flashing star posted on the newest additions. Thanks for the visit - let us know what new things you would like to see us bring your way this year. I am all ears for your input and suggestions. You will notice the new links by looking for the flashing star . You may need to refresh your web browser to see the new changes. Thank you for sharing your talents, enthusiasm, blogs, dolls, events and links with us. 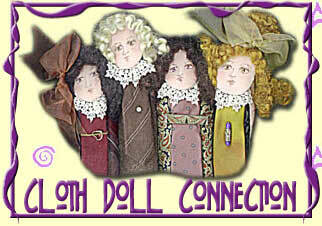 Cloth Doll Products, Sources, Designers, Events, Free Patterns, Online Classes, Blogs, AND"Get Classified"